This week I’m celebrating the life and career of the Little Tramp on the 100th anniversary of his first appearance. The challenge for me in writing this week’s column is to try not to gush to the point of babbling about someone who has come to mean so much to not only my love of movies, but also who has become a meaningful part of who I am as a person. Too late. I’m gushing. F This Movie! had a lot to do with my tearing those walls down. Patrick and JB spoke of films like Nosferatu and The Cabinet of Dr. Caligari with knowing affection, and I became more and more compelled to see what all the fuss was about. I now find myself in debt to both this site and podcast for scouting ahead and letting me know it was not only okay, but important that I start watching silent films. I’ve seen a fair number of silent films at this point, but Chaplin’s are very special to me. Tonally, his work runs the gamut: whimsical, dark, romantic, and tragic, sometimes being all of these things at the same time. Charlie did things I had never seen before (and still haven’t), and he did them with a wink at the camera that always makes me smile. Over his career, Chaplin would become famous (some would say infamous) for his perfectionism, but it’s that perfectionism that made his work so enduring and magical. A true renaissance man, it wasn’t long before he was writing, directing, editing, and even composing the scores for his films. 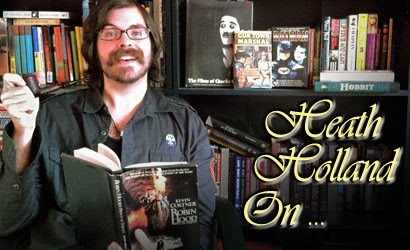 I say this with absolute sincerity: I believe he is one of the five most important contributors to cinema of all time. I’m getting ahead of myself and should go back to the beginning. Charlie was born in 1889 in London. He was a natural performer and mimic, signed to the Karno Company when he was 19 years old. Karno employed comedy groups and sent them to different cities to perform. This eventually led him to America, where he was offered a role in his first short film for the Keystone Studios. That film was released on February 2, 1914, but doesn’t feature the Little Tramp, with whom we now associate Chaplin. A few days later on February 7, 1914, the Little Tramp makes his first appearance to audiences in Kid Auto Races at Venice. Another film featuring that character had been filmed already, but was released AFTER this one, making Kid Auto Races at Venice the Little Tramp’s debut. Chaplin later said that he was trying to act like so many of the people he saw on the streets of Victorian London as a child, the men who would come into the theater to see Vaudeville-style shows. The outfit was mismatched: the coat too tight, the pants and shoes too big, and the mustache added to hide his youth (twenty-four years old). What ended up on film was really just a sketch of what was to come over the next thirty years, but it’s remarkably complete. Kid Auto Races at Venice is on YouTube in very watchable quality. It’s only about six minutes long. Watch it and remember that what you’re seeing is a now a century old. You’re looking into a window at the past, and because Chaplin constantly breaks the fourth wall, that past is looking right back at you across a hundred years. I frequently marvel at how movies are time machines. They’re moving history, the past caught in time, and I don’t think I’ve ever been as aware of that as I am with this film, the birth of the Little Tramp. This film was shot at an actual kid car race at Venice Beach, California. This was not an elaborately staged event for the cameras; this was guerilla filmmaking at its earliest. Most of the action that you see in the film was real. The races were really going on with no knowledge of what was taking place. The crowd was there for the races, not for a film. Chaplin’s actions were improvised. Each time he stepped into the track, he was really stepping into traffic that didn’t know what he was doing. I’ve mentioned how he constantly breaks the fourth wall. By looking directly into the camera, he’s looking at us and letting us in on the fun. It’s just us and him, a secret shared between two friends. This short also breaks the fourth wall by showing the camera itself and Charlie mugging and playing for it (though in doing so the film requires a second camera to shoot this which remains unseen). It’s 1914 and we already have an early example of metafilm. This film, and the thirty-something films that followed for Keystone Studios made Charlie a star. I think it’s interesting, and pretty funny, that it was on a split reel, sharing the rest of the film reel with an educational short called Olives and their Oil. I’m going to go out on a limb and say this one is way more awesome. Took a sausage from a child. Charlie slapped him in the eye. He was truly a household name. For around two decades, Chaplin was the most recognizable celebrity/character/brand in the entire world, and it was only with rise of animation that he was eventually surpassed in recognizability by Mickey Mouse (who both Walt and Roy Disney admit was based on Chaplin). After Keystone, Chaplin was employed by a company named Essanay, where he made 14 more films, and then by Mutual. The contract with Mutual saw Chaplin earning 670,000 dollars a year beginning in 1916 when he was still just 26, making him one of the highest paid people in the world. Over the next few years, Chaplin’s celebrity, as well as his own demons, took a toll. There were several divorces, a child who died three days after birth, legal struggles and political accusations. Later in his life he was declared a communist threat and banned from America. By the time he started making feature films for Universal, the carefree slapstick of his earlier short films had been replaced by a melancholy and sadness that would endure in his work until the end. This dark beauty didn’t make the movies any less entertaining, though. In fact, these qualities are what shot his feature-length films out of the realm of entertainment and into the world of art. Watch any of them and tell me that they are not among the finest moving pictures ever. I’ll stop the summary of his career there; after all, this isn’t a book report, it’s a celebration of the achievements of a single man and how he changed and impacted culture, and that impact was HUGE. I’ve been fortunate enough to travel to different parts of the world over the last couple of years. Something that’s brought me true happiness is to see Charlie Chaplin’s work and influence everywhere I go. It doesn’t matter where, either. From the museums of Europe to the flea markets of small, rural American towns, I find traces of Chaplin everywhere. A poster written in another language here, an aged, yellowed photograph there. 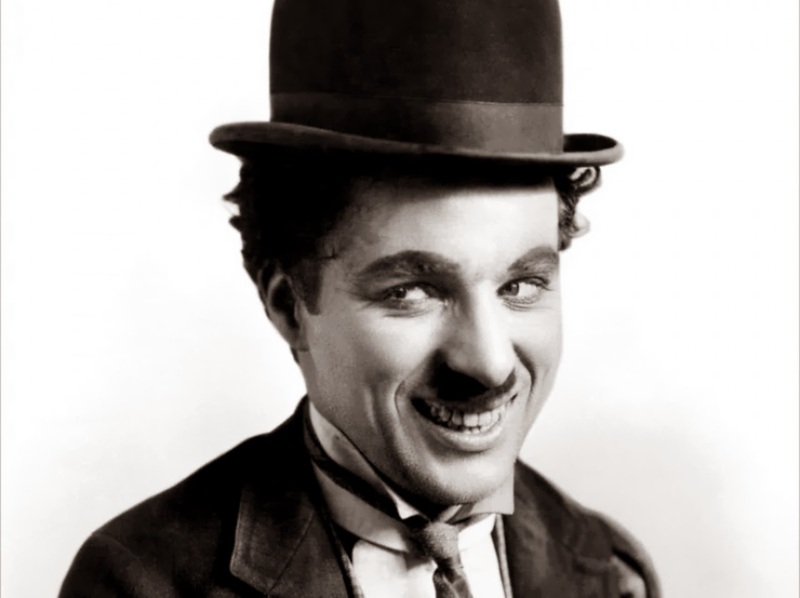 In his maturity, Chaplin achieved a stateliness that placed him among some of our most respected humorists and, in a strange way, philosophers. There are some truly beautiful quotes and thoughts from his autobiography that are stunning in their level of understanding and wisdom. I just ran across one a few weeks ago that deals with something I have been struggling with recently, which is the recognition that I am growing older and therefore am no longer the target audience for our culture. Can it be worded any better than Chaplin phrased this sentiment? “And so the world grows young. And youth takes over. And we who have lived a little longer become more estranged as we journey on our way.” Indeed, sir. Indeed. Outside of Chaplin’s immense body of work, which is endlessly rewarding, there have been two other primary attempts at celebrating his legacy in recent years. The first is the very flawed 1992 biopic Chaplin, directed by Richard Attenborough and starring a pre-fame Robert Downey Jr. in a performance that saw him nominated and wining several awards. My problem with the film isn’t Downey; I think he does a remarkable job at channeling Chaplin, both in costume and the man himself. My issues come from the direction and the inconsistent tone and focus of the film. I have no idea how I’m supposed to view the man through Attenborough’s lens. Worse, the film makes boring work of a life that was anything but. The other significant celebration of Chaplin’s legacy came in the form of a documentary released in the 2004 Warner Brothers box set “The Chaplin Collection Volume 2,” which is sadly now out of print. 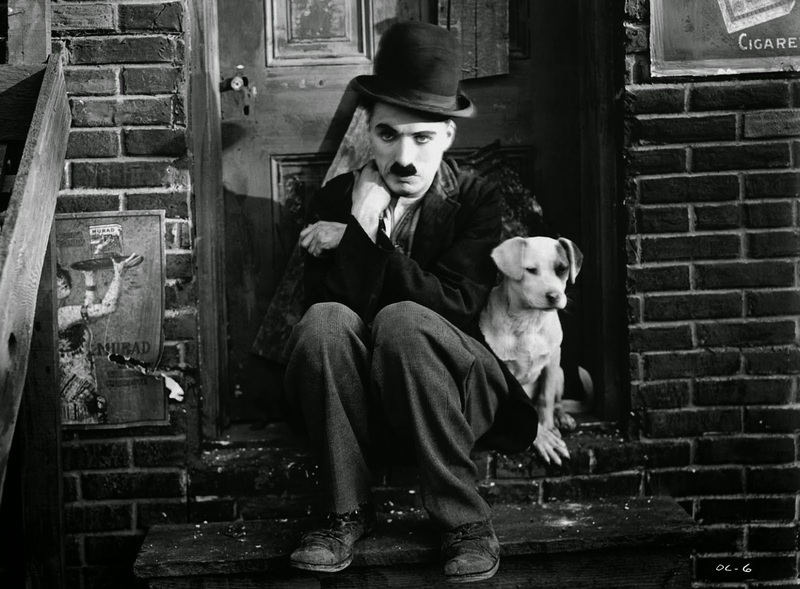 That film, Charlie: The Life and Art of Charles Chaplin, directed by Richard Schickel and narrated by Sydney Pollack, is one of the best documentaries I’ve ever seen. It explores the breadth of Chaplin’s life from childhood in London workhouses and orphanages to his worldwide success to his exile from America and eventual death in Switzerland, leaving out very little of what came in between. In a testament to the legend of the man, a ton of actors and directors speak about what makes Chaplin an enduring phenomenon, including the usual suspects (Scorsese, Depp, Downey Jr.), with the notable inclusion of French mime Marcel Marceau and Chaplin’s children. The documentary is also full of old home movies of an elderly Chaplin at home, slowly rediscovering the whimsy and charm of his films from forty years prior. He trips over a stone in the street and turns, doffing his hat to the stone as an apology. Bits and routines from his childhood performing in London reappear at the dinner table or by the pool in the late afternoon. This documentary still airs occasionally on TCM, and can be had for a reasonably fair price from online sellers. If you have any interest in Chaplin and haven’t seen it, I highly encourage you to seek it out. You won’t regret it. It seems to me that few icons from the last century have aged as well as Charlie Chaplin’s Little Tramp, who has endured without the release of any notable material in something like 80 years. His movies hold up as well as they ever have, maybe even better than when they were first released, because we can view them through the spectrum of time and see the cultural impact they have had on our generation, and our father’s generation, and our grandfather’s generation. There’s something archetypal about these films. They often deal in the broad strokes and slapstick. 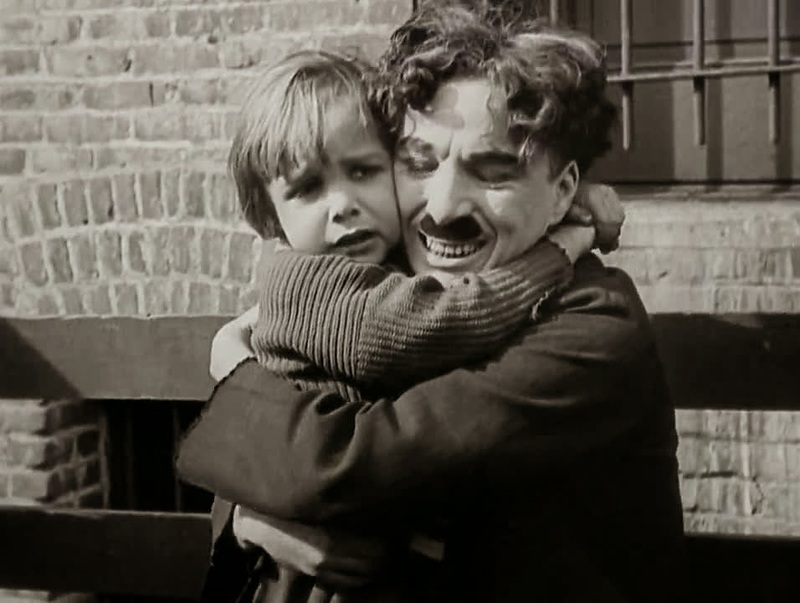 But with Chaplin there’s a depth and humanity like I’ve never seen in anything else. I think it’s in his eyes. Just as in Kid Auto Races at Venice, he’s constantly looking at YOU, the viewer, inviting you into the scene. Those eyes are full of a lot of things. Sometimes they’re full of chaos and mischief, but many times they’re full of something more. For lack of a better description, they’re full of heart. Humanity. Earnestness. Weariness. Those eyes are what made Chaplin an endearing legend for the last one hundred years, and I fully believe for hundreds yet to come. Love this write-up on Chaplin, Heath, and I'm saying that as someone who has had very little exposure to his work - I have yet to really begin my journey into silent film in general, though greatly due to this site I am at least planning on it. Oh my god - a Charlie Chaplin fan has been born (at least that's why I think I'm covered in blood and mucous) - I just sat here (at work) with a big dopey grin on my face the whole time I watched that. I can't even really describe why I found it so funny and entertaining - it's so simple but it's like it touches this primal part of my sense of humour that must predate language. I love him - I've seen little clips before but never a full sketch like this - I think it's like you say in your closing paragraph - something about the eyes and everything behind them. I also can't believe how fully-formed the iconic Little Tramp character seems to be at this nascent stage in its development. Wow - such a small thing but I'm blown away - hopefully I can find some stuff of his on Netflix for a start - thanks Heath, this was really an eye-opener! RIGHT?! It's kind of amazing, especially when you consider this is his SECOND short film. He was a star from the beginning. His work would only get more ambitious and emotionally involving as it went on, but even from this first appearance of the character you can just tell that there's SOMETHING about him that's different and special. I think this short is so funny because film was practically new in 1914, but here he is being a camera hog, photo-bombing an entire race. Has anything REALLY changed? I'm SO glad you dug it, Sol. It really is amazing - it's pretty rare for me to be so immediately captivated by an actor/character, the fact that he's not even talking makes it all the more so (though he does still manage to say so much). Apart from being the first photo-bomber which is hilarious, would this be considered an early example of guerrilla filmmaking as well? If you watch the crowd there definitely seems to be some people wondering what the hell that guy is up to - I envy their luck in witnessing that live performance of a legend in the making (but take some comfort in the fact that they're all probably dead - ha!). 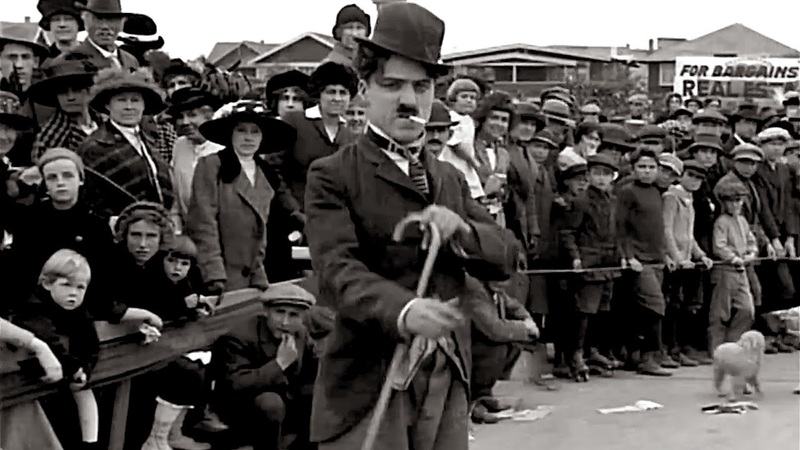 Unfortunately there is a paucity of Chaplin material on Netflix, though there is a collection of episodes of shorts that seems promising (I noticed Kid Auto Races at Venice was one of them) - they make for such interesting history lessons too; e.g. I had no idea department stores had rudimentary escalators in them back in the 1910s and he uses it to great comic effect (that must have been extra hilarious at the time). I also loved that quote about the world growing younger and look forward to reading more by/about him. Great piece, Heath. I've had the pleasure of seeing some Chaplin films on the big screen and they remain some of my favorite movie-going experiences of my life. I got such a kick out of the age difference of the audience, from little kids to old men and women, and how the films played great for EVERYONE. I would LOVE to see some Chaplin on a big screen with a live audience. You're right. It's for everybody, young and old. And because they're silent, there's no language barrier. It's timeless. I had my first real Chaplin movie viewing experience in December of last year when I blind bought the Criterion blu-ray for City Lights, which I thought was absolutely fantastic when I watched it. I'm not hugely into silent films yet, but like Sol, I'm trying to and want to get there. Despite my lack of silent film knowlege, I can easily see how and why Chaplin was one of the greats of that era of film history. This is a wonderful write-up and tribute to the man. That's a heck of a blind buy. I don't have any of those Criterion discs yet, but I want them. I have the boxed sets that came out years ago. It's frustrating for me that so much of his work is currently out of print and unavailable. Thank God for those Criterion discs, as they're the only chance some people have of seeing this stuff. Well, maybe semi-blind. I had never seen it before, but of course I was familiar with the overwhelmingly positive cinematic legacy of Chaplin, and that the movie is very highly regarded. I didn't know much else about it, though. I was pleased when it was just as great as everyone makes it out to be. And yes, Criterion is wonderful for exactly the reason you mentioned. There are so many great movies I would have likely missed out on or directors whose works I would not have discovered I love if it weren't for Criterion. Terrific article! 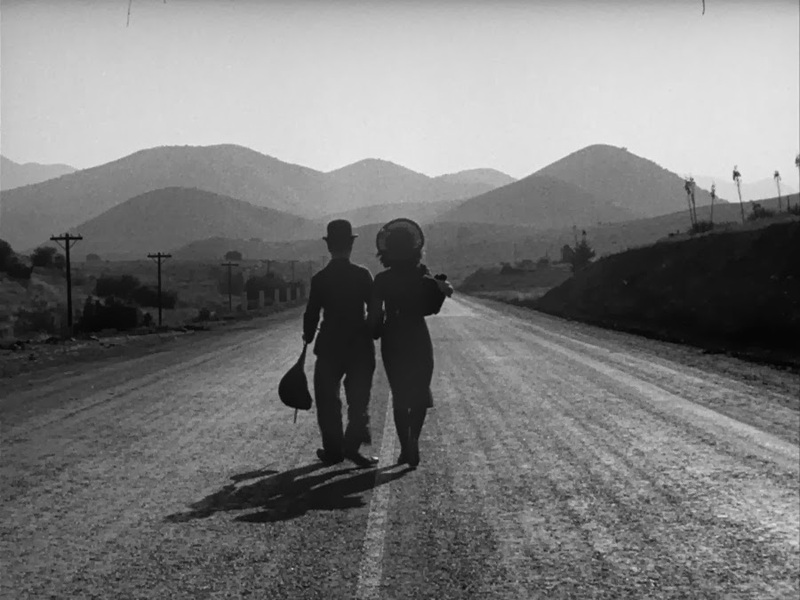 I've been a fan of Chaplin ever since I took a film studies class in college and they showed City Lights - still one of the most moving closing shots ever. Chaplin manages to have pathos in his films without stumbling head-first into bathos. I'm also thinking of the end of Modern Times, a film which might be the comic/silent version of Die Hard - you just can't keep the little tramp down. I hope that one day you'll write about 2 other great silent film stars, Buster Keaton and Harold Lloyd. I really want to dig into the work of Buster Keaton and Harold Lloyd. Right now I'm still going through Chaplin's MASSIVE output, but I definitely want to see more from his peers. When I do, you can bet I'll be writing about it.